Price increases are a fact of life for business owners, and membership websites are no different. 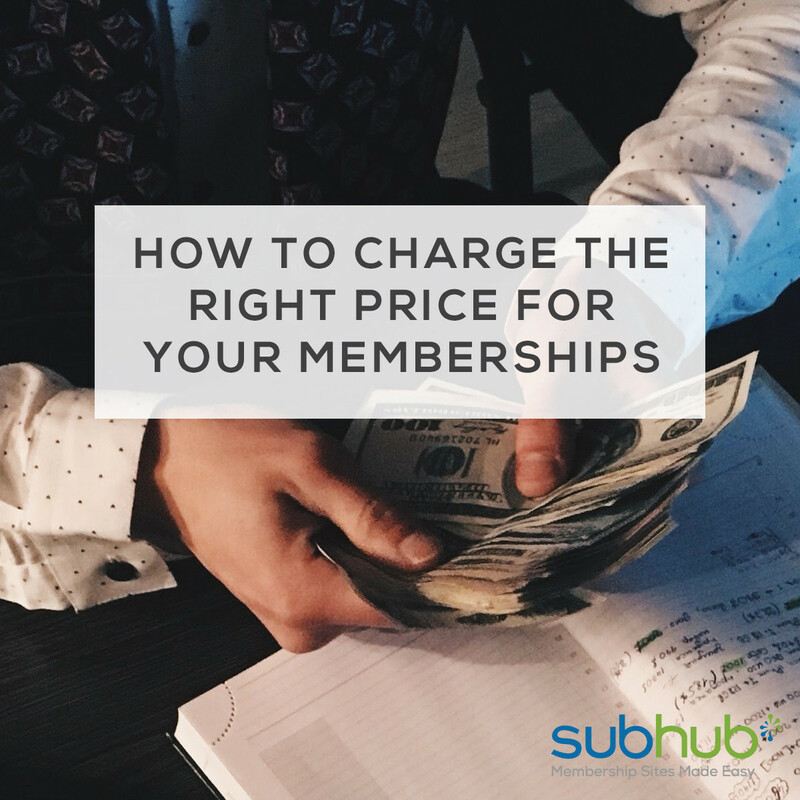 Whether it’s to keep up with inflation, or high demand, or just because you need extra revenue to fund improvements, at some point you will need to raise your membership prices. But how can you do that without upsetting your customers? There are numerous things you can do to soften the blow of a rate increase, and having a solid plan in place for how you are going to tackle it is crucial. Before you can even begin to think about raising your membership prices, you need to make absolutely sure that you are providing an impeccable service. That means great value, excellent customer service, and a worthwhile product. Take the temperature of your existing members with a survey or forum thread to see how you’re doing. If your customers are thrilled to bits with everything you’re doing, then you’re probably justified in considering a rate increase. Your existing customers are the lifeblood of your business. Without them, you wouldn’t have a business at all, so make sure you take excellent care of them. We recommend that you keep your rates the same for existing customers, and apply your higher rates to new customers only. However, if you’re sure that you want your rates to increase across the board then give them some sort of loyalty discount at the very least. For example, if your current monthly membership fee is $10, and you want to raise it to $20 for new customers, then think about only raising it to $15 for existing members. In order to justify a significant membership rate increase, think about improving your service in some way. People are much more likely to accept a price hike if they’re getting something extra in return. Consider providing an extra monthly webinar, or access to 1:1 time with you, or even an additional product like an ebook or online workshop. You could even improve the quality of the materials you provide, by hiring a graphic designer to redo your printed materials, or redoing your video content with a professional editor. If your members baulk at paying your increased rate, then it’s a good idea to have a fall-back plan in the form of a lower price tier. Basically, they can pay less, but they’ll get less in return. Another great way to offset a higher monthly membership fee, is to offer an annual rate which is lower. For example, if your monthly membership fee rises to $20, then offer an annual rate of $220. You’re essentially giving them a month for free, but only if they pay the fee in one go. This can be a great tactic for increasing member retention as well. If you announce a price increase out of the blue, especially if it’s a big one, you will upset people. Give yourself a lead-time of around two to three months, to communicate clearly to your members and your target audience that the rate increase is coming. Set a date and stick to it. A price increase is a great promotion tool. Once you have your date set, start building your marketing around the price increase to encourage new members to come on board before the prices go up. Make sure your value proposition is solid, and don’t be shy about telling people the new improvements you’ve made to your membership site and why the increased prices are worth it. No matter how carefully you plan your price increase, and how well you communicate your added value, or offer lower-priced alternatives, there may be people who either complain, or decide it’s not worth it for them anymore. This is a normal part of business. Be prepared to answer questions and make sure you can give good reasons for increasing your membership prices. Tell everyone about the improvements you’ve made to your content and services. Have a good plan in place for dealing with any complaints and make sure you keep your customer service standard high. Have you raised your membership site rates recently? What was your experience? We’d love to hear from you, so drop us a line on Twitter or Facebook and let us know. Alternatively, come and join our Knowledge Bank Facebook Group and join in the discussion with like-minded membership website owners. Content Delivery: What’s the Best Way to Deliver Your Great Content to Your Members?